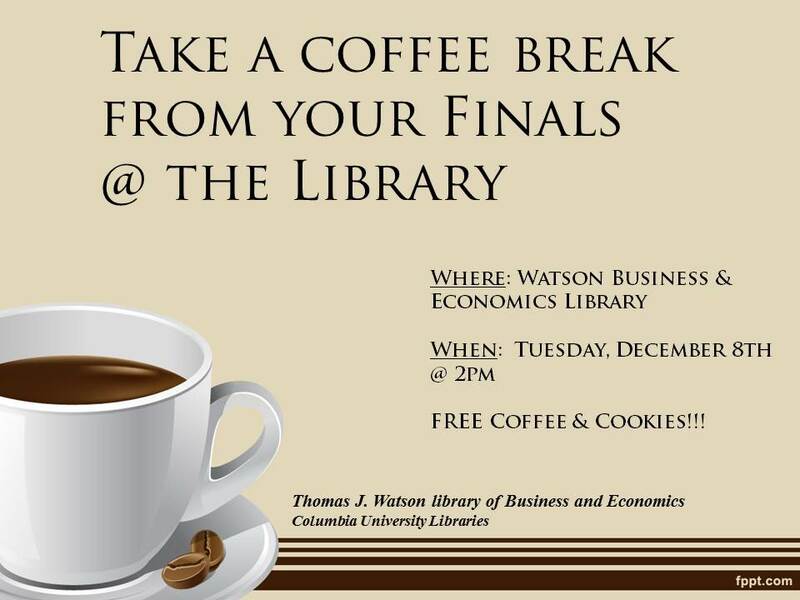 Take a coffee break @ Watson Library! Join us tomorrow for free coffee and treats! The librarians will be around to answer any questions. Please stop bye to chat and enjoy the snacks. See you tomorrow!!! This entry was posted in Uncategorized on December 7, 2015 by Ignacio Sanchez.